Most of us can claim at least one relative or ancestor who has served in the military. 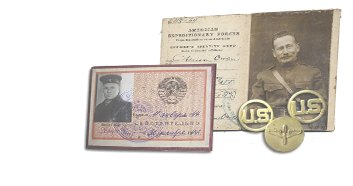 Military records provide valuable information on men and women who served and often their families too. Military records can provide birth and death dates, names and addresses of family members, and details of an individual's service. Search through a wide range of military records as well as military histories to learn more about your ancestor and the political climate during their service. We provide searchable databases from North America and all over the world.